Put a big smile on my face ... And it is long over due ! Pair are the first Native American to get elected to the US Congress since it was established in 1789. 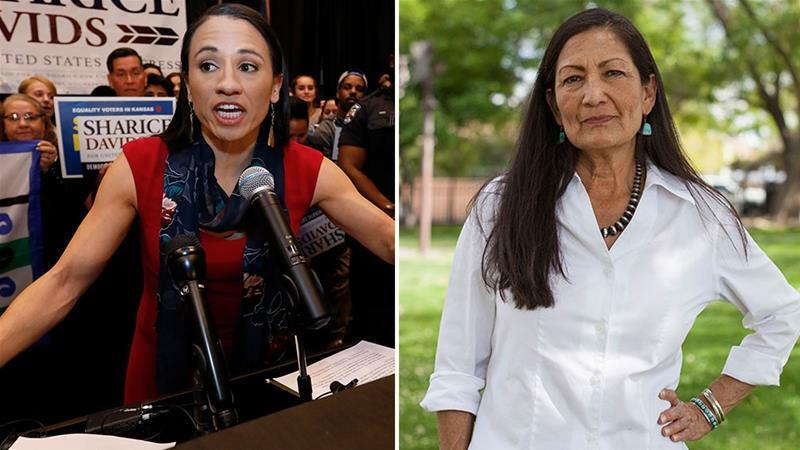 Democrats Deb Haaland and Sharice Davids have become the first Native American women elected to Congress. Haaland won New Mexico's first congressional district, while Davids won the third district in Kansas. A member of Laguna Pueblo tribe, Haaland cruised to victory in the Democrat safe seat in Tuesday's midterm elections. A lawyer by profession, she campaigned on a platform of tackling climate change and income inequality, as well as providing universal healthcare. In an interview with ABC News in June, Haaland said, "In 230 years, there’s never been a Native American woman in Congress. I have never seen myself in that body of our government." Davids is a Cornell Law School graduate and professional Mixed Martial Arts fighter, who was raised by a single mother. She is a member of the Ho-Chunk Nation, a Native American tribe that hails from Wisconsin. The former White House fellow under Obama, is openly gay and an advocate for LGBT issues. There are around three million Native Americans in the United States or around one percent of the population. Haaland and Davids will join two other Native American members of the House of Representatives, both of whom are Republican. Tom Cole, of the Chickasaw tribe, represents Oklahoma's fourth district, and Markwayne Mullin of the state's second district represents the state's second. Last edited by giovonni, 8th November 2018 at 04:11. Welcome to Hollywood Graveyard, where we set out to remember and celebrate the lives of those who lived to entertain us, by visiting their final resting places. Today we're exploring Forest Lawn Memorial Park in Glendale, where we'll find such stars as: Walt Disney, Clara Bow, Sammy Davis Jr, and many more. Full list of stars visited today: Walt Disney, Clara Bow, Alan Ladd, Jeanette MacDonald, Nat King Cole, Gracie Allen, George Burns, Dorothy Dandridge, Billie Dove, Chico Marx, Larry Fine, Francis X. Bushman, Spencer Tracy, Hugh O'Brian, Errol Flynn, Clayton Moore, Sammy Davis Jr, Sam Cooke, Samuel Goldwyn, George Cukor, Joan Blondell, Natalie Cole. Full list of stars visited today: Louis L'Amour, The Dolly Sisters, Elizabeth Taylor, Clark Gable, Carole Lombard, David O. Selznick, Jennifer Jones, Lon Chaney, Russ Columbo, Red Skelton, Sid Grauman, Marie Dressler, Jean Harlow, Irving Thalberg, Norma Shearer, Theda Bara, Jack Carson, The Andrews Sisters, Harold Lloyd, Wallace Reid, Ben Turpin, Jean Hersholt, Ed Wynn, Keenan Wynn, W. C. Fields, Michael Jackson, James Arness, William Boyd, Joe Barbera, Alfred Newman, Max Steiner, Paramahansa Yogananda. Full list of stars visited today: L. Frank Baum, Joe E. Brown, Wallace Beery, Robert Young, David('s Twin Brother), Danny Gans, Humphrey Bogart, Mary Pickford, Ted Knight, Vincente Minnelli, Carole Landis, Jimmy Stewart, Tom Mix. Last edited by giovonni, 8th November 2018 at 05:25. I gotta go visit those graveyards next time I'm out west. Thanks for that, Gio. "The economic crisis and consequences of the strict austerity policies have hit the Italian people hard. Tax offices are being occupied while business people are taking their own lives in despair. We document the current mood in Italy from the point of view of those whose existence is threatened by this crisis. Giorgia Frasacco, 33, is determined to save her family’s company from bankruptcy after her father killed himself. In her spare time, she runs a support group for the families of business people who, like her father, committed suicide in the last months. Franca Stefani, 37, has been unemployed for over a year and is trying to raise her six year old daughter on 250€ a month while Piero Lospi, 47, recently lost his job. He struggles to adapt to this new reality and feels he has lost his dignity, social recognition and the sense of having a useful role in society. 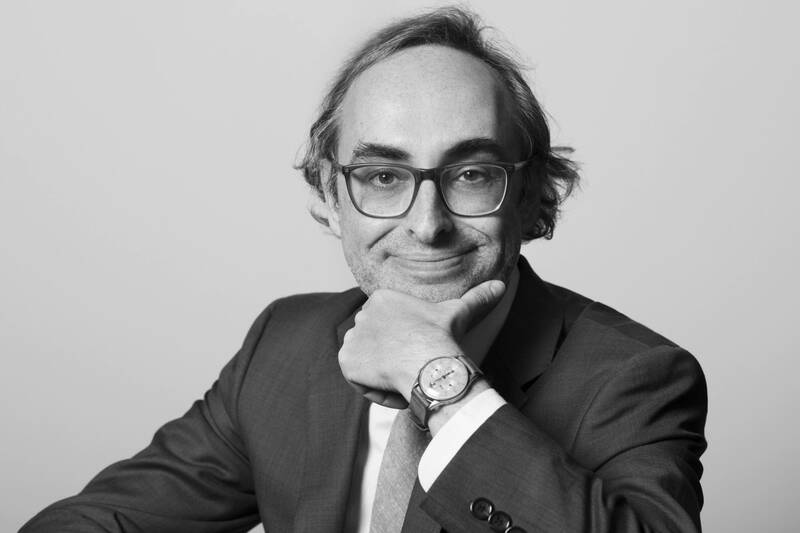 Finally, Gian Luca Brambilla, 50, runs a consulting business specialising in cutting costs in big companies. His problem is not getting work but being paid and his clients owe him almost an entire year’s turnover." My son spent a couple of weeks in the south of Italy. They pay as little taxes as possible because the government is so corrupt. They never see return from their taxes. Politicians get into office long enough to pay for their kids college and then they leave. It'll take a lot of work to change that. for admission at the Institut Villa Pierrefeu." Last edited by giovonni, 12th November 2018 at 21:00. "Who is happy in America? Author Gary Shteyngart took a bus trip across the country to find out -- and the answer surprised him. Hedge fund managers, some of the most successful Americans by standards of economic achievement, tended to be miserable. College professors, meanwhile, enjoyed “the feeling that they were a part of something bigger.” Shteyngart shares his findings in - My Humble Opinion." "Electric scooters have been rolled out in scores of cities around the country. Now, city officials are struggling to balance the needs of the companies that are offering eco-friendly transportation and residents who are worried about their safety. The Washington Post's Catherine Rampell reports from Santa Monica, California." "Welcome to Hollywood Graveyard, where we set out to remember and celebrate the lives of those who lived to entertain us, by visiting their final resting places. Today we're exploring New York City, and the surrounding areas, where we'll find such stars as Lillian Gish, Montgomery Clift, Whitney Houston, and many more. Full list of stars visited today: Whitney Houston, Bobbi Kristina Brown, Dudley Moore, Jerry Orbach, Ralph Ellison, Estelle Bennett, Cuba Gooding, Richard Sands, Clement Clarke Moore, John Jacob Astor (I, IV, III), Gloria Swanson, John Lennon, Lillian Gish, Dorothy Gish, Adrienne Shelly, Alexander Hamilton, Leonard Bernstein, Florence La Badie, Henry Steinway, Laura Keene, Jean-Michel Basquiat, William S. Hart, Frank Morgan, Montgomery Clift." "Welcome to Hollywood Graveyard, where we set out to remember and celebrate the lives of those who lived to entertain us, by visiting their final resting places. Today we continue our tour of New York in Brooklyn and Queens, to find such stars as Mae West, Harry Houdini, Louis Armstrong, and more. Full list of stars visited today: Winsor McCay, Bill "Bojangles" Robinson, Bert Lahr, Edward G. Robinson, Harry Houdini, Victor Moore, Mae West, Jackie Robinson, Lucky Luciano*, Vito Genovese*, Carlo Gambino*, John Gotti*, Dom DeLuise, Louis Armstrong, Joyce Brothers, Bernard Herrmann, Abe Vigoda, Andy Kaufman, Martin Landau. Last edited by giovonni, 18th November 2018 at 01:18. "My Brilliant Friend, a new original series directed by Saverio Costanzo and based on the global best-selling novel by Elena Ferrante, comes to HBO this November." "For human beings on planet Earth, the ultimate mystery of life may be: how and why does consciousness exist? The unanswered question is characterized as "the hard problem,” which is essentially the mystery of why any physical state is experienced consciously. Of course, the neurosciences have provided extraordinary understandings of the human brain and its relationship to conscious experience. But is this physical matter and its complex electrochemical processes the generator of consciousness? This is the question that author Mark Gober explores in his book, “An End to Upside Down Thinking: Dispelling the Myth That the Brain Produces Consciousness, and the Implications for Everyday Life.” In part one of this two part presentation, Mark begins laying the foundations for the evidence that consciousness is more than the brain." "Above Mark Gober began an exploration of the unresolved scientific puzzle: how and why does consciousness exist? In Mark’s book "An End to Upside Down Thinking," he summarizes some of the voluminous scientific evidence which suggests that consciousness is not generated by nor confined to the brain. A major focus of this evidential summary is the amazing abundance of scientific studies, dating back more than half a century, into psychic phenomena, such as telepathy, ESP and precognition." A parallel field of investigation is survival of consciousness – that is the study of near-death experiences and even purported communications with the dead by so-called mediums. While The Thunderbolts Project takes no position on these issues, in the past we have presented for your consideration interviews and public presentations by such noted scientists as Dr. Rupert Sheldrake and Dr. Dean Radian, both of whose scientific research into consciousness Mark outlines in his book. Today, Mark offers a brief yet comprehensive overview of compelling evidence that the locus and source of consciousness is non-material." Last edited by giovonni, 22nd November 2018 at 11:37. It has been demonstrated that the quantum world makes 'logical' decisions. One example is the illusion that objects in water present to the eye. The light reflected actually takes the most efficient path from the object to the human eye and it's not a straight line...it is a 'balance' between space and time and the result is the illusion. It's a longer story than that, of course, but it's been a long day...not really that long, I'm just being lazy which is kinda like me.